Posted on Thursday, May 19th, 2016 at 13:15. It is with great sadness that I write that Mishoshi’s seiyuu MIZUTANI Yuko has passed away from breast cancer. She was only 51. Yuko-san was also the voice for Mihoshi’s mother in GXP, Mitoto. I’ve written a small piece on my anime blog where I discuss this further. 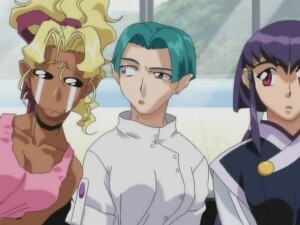 However, it is a sad day for us Tenchi fans. Farewell, Yuko-san. That is quite sad to hear, she was a talented voice actress. Dang. The VA for my favorite character. She will be missed. R.I.P.